Suzanne Labrit is a partner in the Tampa office of Shutts & Bowen LLP, where she is Co-Chair of the Appellate Practice Group. 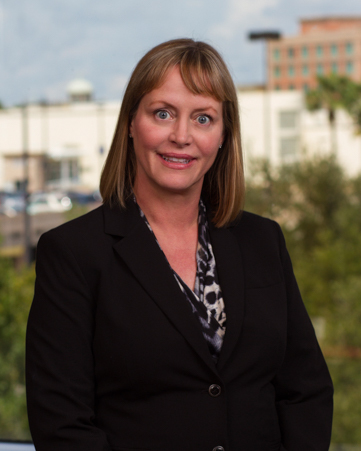 A Martindale-Hubbell AV® Preeminent™ attorney, Suzanne has over 30 years of experience and is one of fewer than 200 Florida lawyers who are Board Certified by the Florida Bar in Appellate Law. She specializes in appeals and focuses on complex commercial litigation for clients in various sectors, primarily financial services, healthcare and entertainment. Suzanne has extensive appellate experience and has handled well over 300 appeals involving diverse legal issues, including numerous arguments before the Florida Supreme Court, the Eleventh Circuit Court of Appeals and all the district courts of appeal in the State of Florida. She’s experienced in all aspects of appellate advocacy and procedure, and routinely prepares briefs on merits and jurisdiction, amicus briefs, and petitions for extraordinary writs in original proceedings. She provides appellate support during trial and pretrial activities, assisting in development and presentation of legal arguments, record development, and identification and preservation of error. Suzanne is well-versed in all aspects of class certification, merits determination and class action settlement and administration in state and federal courts. She’s currently defending several putative class actions involving consumer-based claims in the insurance and finance industries. Suzanne also counsels clients on issues that affect their ability to operate and compete fairly. She litigates contract disputes, whistleblower and false claims cases, and she has substantial experience with temporary restraining orders and injunctions to enforce and defend restrictive covenants and protect trade secrets. Suzanne’s healthcare background includes representation of pharmacy companies, hospitals, payors, physicians, and group practices. She counsels clients in disputes over contract performance or termination, compliance and reimbursement issues, peer review, credentialing and related matters. She handles internal investigations, administrative proceedings, arbitrations, trials and appeals. From 2008 to 2010, Suzanne served as national litigation coordinating counsel for an institutional pharmacy company. Prior to that, she participated in the statewide defense of thousands of diet drug litigation cases for a pharmaceutical manufacturer. Suzanne represents motion picture companies, recording studios and publishers in enforcing and defending their copyrights, trademarks, licenses and other intellectual property. She also handles contractual, production and licensing disputes throughout Florida. Suzanne has been a partner at Shutts since 2003. Before joining the firm, she spent several years as a partner in the Miami office of a Chicago-based international law firm.